Beginning in July, 2009, the Gang Prevention and Community Awareness Program was launched at GSSAC as a resource to bring gang education and awareness to the Spokane community. One of the first orders of business for the program was to develop the first and, at that time, only comprehensive gang assessment in the State of Washington. 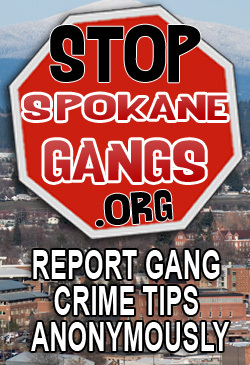 The Spokane County Comprehensive Gang Assessment, 2010 (updated 6/30/11), was a collaboration between GSSAC, the Spokane County Sheriff's Office, and numerous other local agencies which describes the current state of gang activity in Spokane County and identifies the resources which are available to help at-risk youth. This assessment chronicles the history of gangs in Spokane as well as outlining the steps in place to reduce the impact of gangs. Considered a "living document," this assessment will be updated annually as new information and statistics become available. Community education is a cornerstone of prevention and an integral part of the Gang Prevention and Community Awareness Program, GSSAC has created a presentation about gangs in Spokane County. According to the 2008 Healthy Youth Survey, nearly ten percent of Spokane's high school and middle school students say they are members of some gang. Though it may not be popular to admit, Spokane does struggle with a rising gang problem. Because of this fact, Spokane County is proactively addressing the gang issue through prevention and intervention, in addition to suppression by law enforcement. Studies have shown that prevention is the most cost-effective way to combat gangs. "Gang Prevention NEVER TOO LATE" a 30-minute informational video that highlights the 10 life-changing consequences proven to be associated with gang life and features local Spokane community members who have either been gang members themselves, have family members they have lost due to gang violence, or are gang experts describe these consequences through sharing their personal experiences and stories.